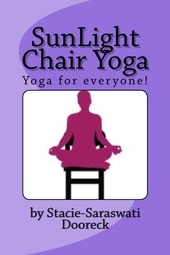 (Book review) “Sunlight Chair Yoga” teaches adaptive techniques for the ill and injured. 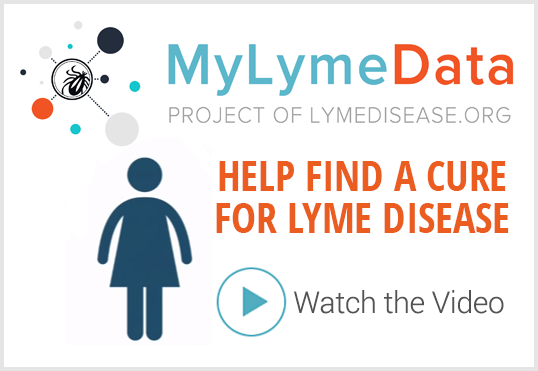 One of the more frustrating experiences for long-term Lyme patients can be that they feel too sick to exercise. They read in Burrascano’s guidelines and elsewhere that exercise is critically important for healing. Yet, many are too debilitated to get up out of a chair, or in some cases, even out of bed. When merely crossing the room requires Herculean effort, the concept of exercising for health can seem utterly unobtainable. A new book called “Sunlight Chair Yoga” may help. It’s written by Stacie-Saraswati Dooreck, a long time yoga instructor who some years back experienced her own bout of serious illness. Unable to exercise or do yoga the way she used to, she decided to try adapting her yoga practice so that she could do her poses sitting down. Encouraged by that experience, she continued with her chair yoga practice as she convalesced. She has since gone on to teach these adaptive yoga strategies to people who are too sick, injured, or otherwise limited to undertake regular yoga poses. What she learned in this process is now incorporated into the book. She advises anyone who is quite ill and hasn’t exercised in a long time to start slowly. Although the book is called “Chair Yoga,” some of the exercises can be done lying in bed. There are breathing techniques, hand movements, even yoga for your eyes. Breathing exercises alone can bring more oxygen to the body and promote feelings of vitality, Stacie points out. Click here for Stacie’s website, with information about how to order the book. 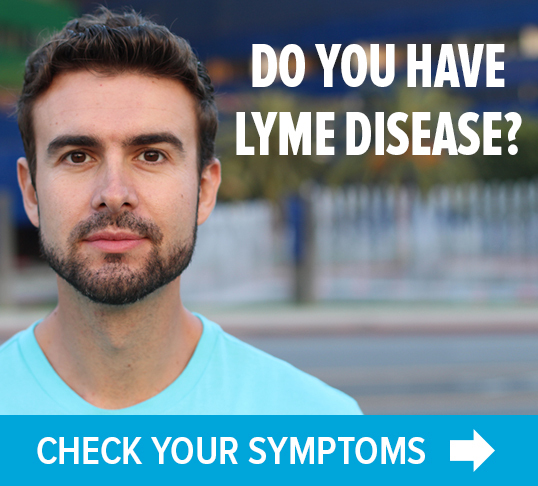 TOUCHED BY LYME: (book review) "How to be sick"
Thank you for finding this! I think Yoga or chair Yoga is wonderful and healing within itself. The mind body control! It would be fabulous if she were to make a DVD of the exercises which make one feel as if they are not alone and they would be guided as they perform the breathing and positions. I love Yoga but simply can no longer do it as I was once able to. Thanks Jill for your comment. (I wrote the SunLight Chair Yoga book). I know from experience you can benefit from a new way of doing yoga, in a chair or in bed as you need, even if it is not the ‘Yoga’ you used to do. With gentle practice, as energy and healing occurs you can do more and more over time perhaps. I am working on the DVD project as I got many other requests for that. Stay tuned. (: Blessings. Om shanti, om peace. Can’t wait to start. Also good for aging parents.